As the Jerry Sandusky trial gets underway, I’ve been asked to speak for Penn Staters who have been challenged over these past months to defend our University. A former assistant coach has been accused of molesting young boys that he met through his Second Mile charity. He may have used his access to Penn State athletic facilities to take advantage of some of those boys. Penn State is not on trial; Jerry Sandusky is. 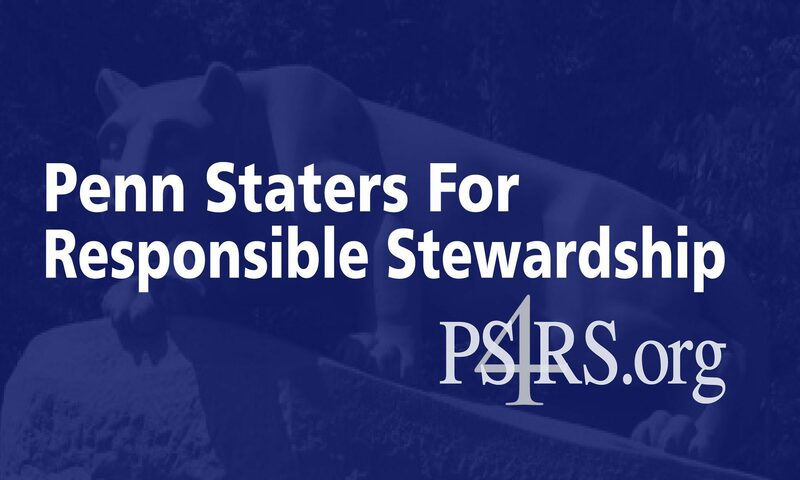 If the accusations are true, there are very few of the nearly 500,000 living Penn State alumni or the 90,000 current students, faculty and staff who will have any sympathy for Mr. Sandusky. Our sympathy will be entirely with those he abused when they trusted him and looked to him for help and guidance. As it turns out, he will be judged by Centre County residents, many of whom have direct and longstanding ties to the University. That is as it should be. They represent us all and they will do their best to see that justice is served. In the meantime, thorough investigations and perhaps additional trials will determine if any Penn State officials participated in a coverup or actually facilitated ongoing crimes. Those investigations, we hope, will also examine the actions or inactions of Second Mile administrators and of local and state law enforcement officers. The guilty will be punished. But what about the innocent and falsely maligned? That night, as he and Sue prepared to go to bed after a long emotional day, he was fired by telephone. Less than three months later Joe Paterno died. Thanks for saying it for all of us, that cannot put the words so eloquently!!! As Joe said, keep trying and something good will happen. We’ll keep fighting and defending the innocent. Thanks Gary! Thank you, Gary. From your keyboard to the BOT’s ears. Make an impact. Amen again Gary. Great post. JoePa was a gift from God. We should all be thankful for his integrity and honor in supporting Penn State. We Are Because He Was…..
good job! We are Penn Sate! Maribeth Roman Schmidt: You didn’t WANT to believe us?